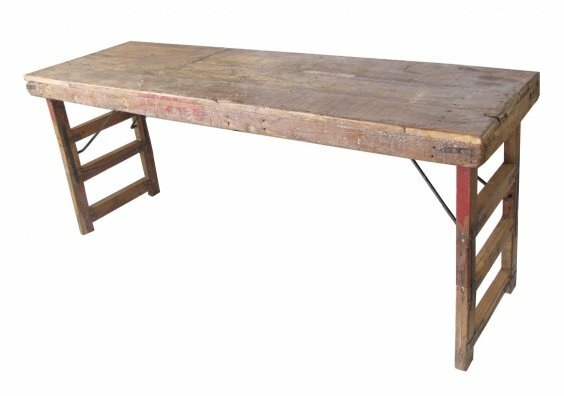 These reclaimed folding table were once used as wedding rentals. Each piece is a one of a kind. Patches, cracks in wood, painted Indian writing, and different size tables are part of this item’s unique character. Vintage. Sources from India. Measurements shown are averaged.